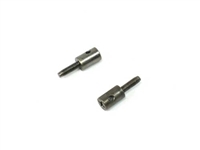 These Wheel Axles are for the TRF417 Chassis Kit (Item 42184). 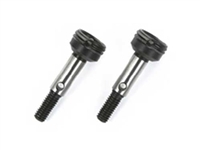 Compatible with TRF417, TRF416, TA05 ver.II, and TB-03 chassis cars. 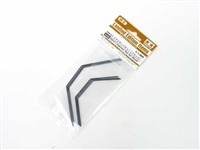 Use with Item 51444 TRF417 Cross Joint Set. For: Tamiya TRF417 & TRF416X. This is a sway bar set designed to fit the TRF 417 chassis kit, which only includes medium bars. 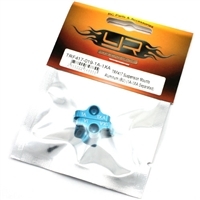 These bars will also fit all type of TA-05 Chassis, TB-03 and TRF 416 chassis kits. These precision aluminum rear uprights offer greater durability than kit-standard plastic uprights. In addition to the two standard upper arm attachment positions, a new attachment position (outermost holes) has been added to increase camber setting options, particularly for people who use the TA-06 as a drift car. 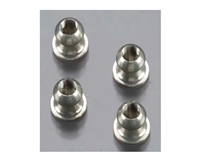 Ball Connectors and screws included. Compatible with TA06, TA05-VDF, TA05-VDF II, TB-03, and TRF417 chassis machines. 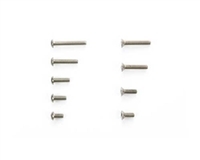 This titanium screw set is for the TA05-VDF chassis. 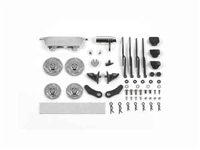 It offers a weight savings of 22.3g over the kit-standard screws.